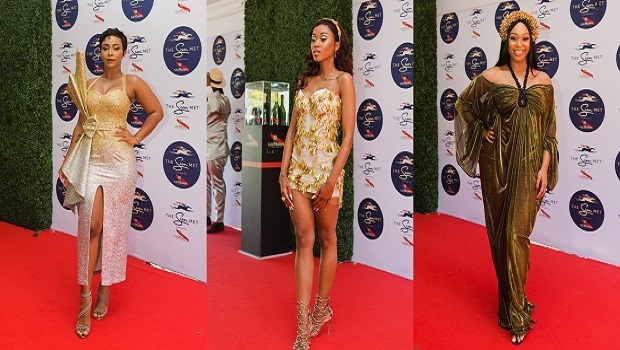 Boity Thulo, Moozlie and Minnie Dlamini dripping in gold at the 2019 Sun Met. 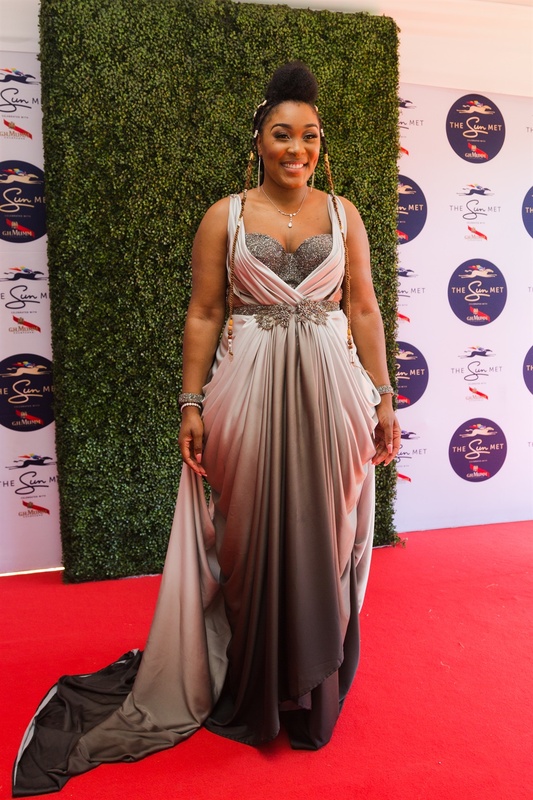 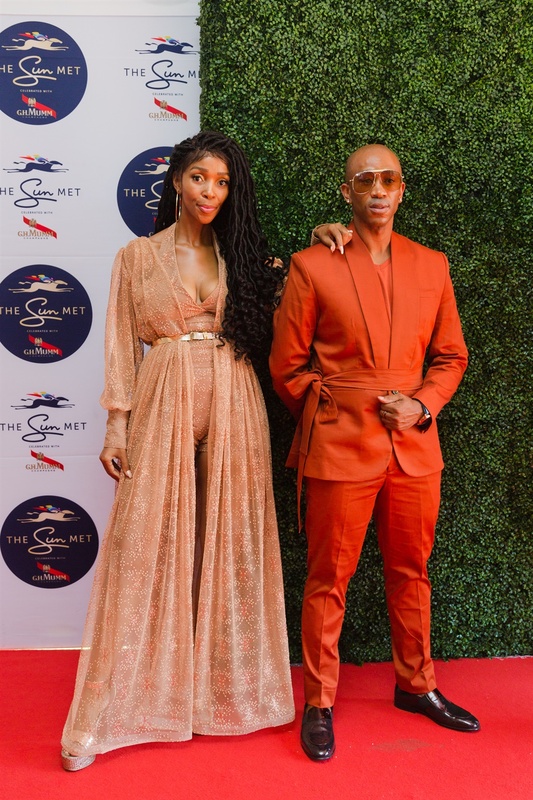 Our favourite TV, radio and social media faves at this years Sun Met held in Cape Town lived up to the theme of the event, which was Precious Metals. 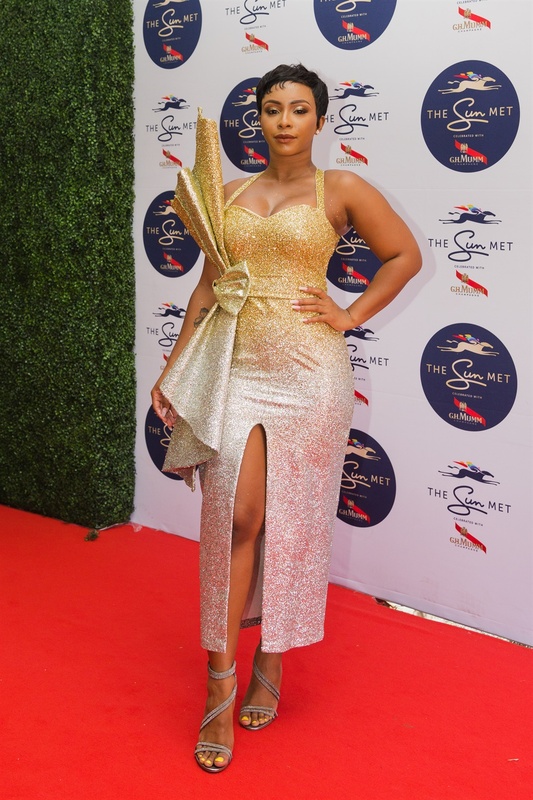 From the gorgeous TV personality turned rapper, Boity in a Jessica Jane Molebatsi silvery gold sparkly dress which was adorned with an oversized bow, to Nomuzi Mabena in a figure hugging short dress, everyone seemed to hit the theme, which was African Luxury: Precious Metals, right on the head. 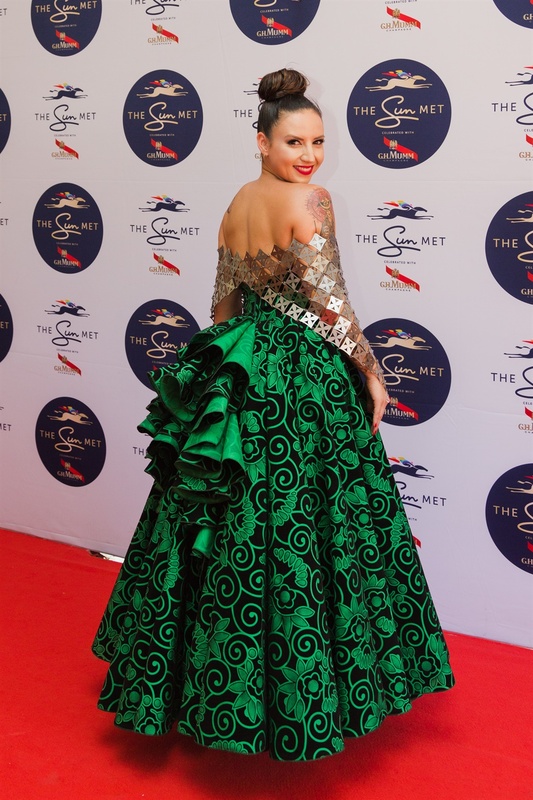 While most of the attendees at Africa's Richest Race Day seemed to get it right, here are only a few of our favourite. 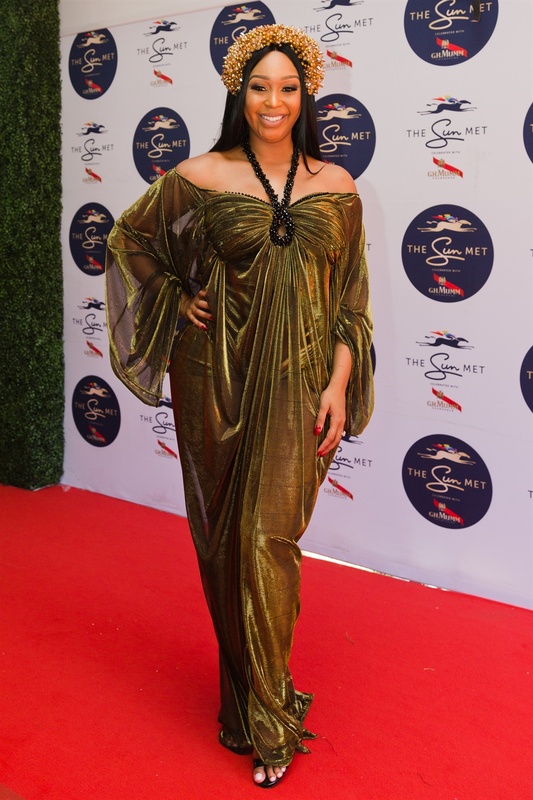 Rolene wears a simple and elegant off the shoulder gold Galluzziegini figure hugging dress. 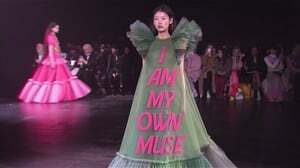 credit: Lauren Young A1 productions.